In a blender, add the chopped apple, lemon juice, sugar, mint leaves and cold water and blend well. 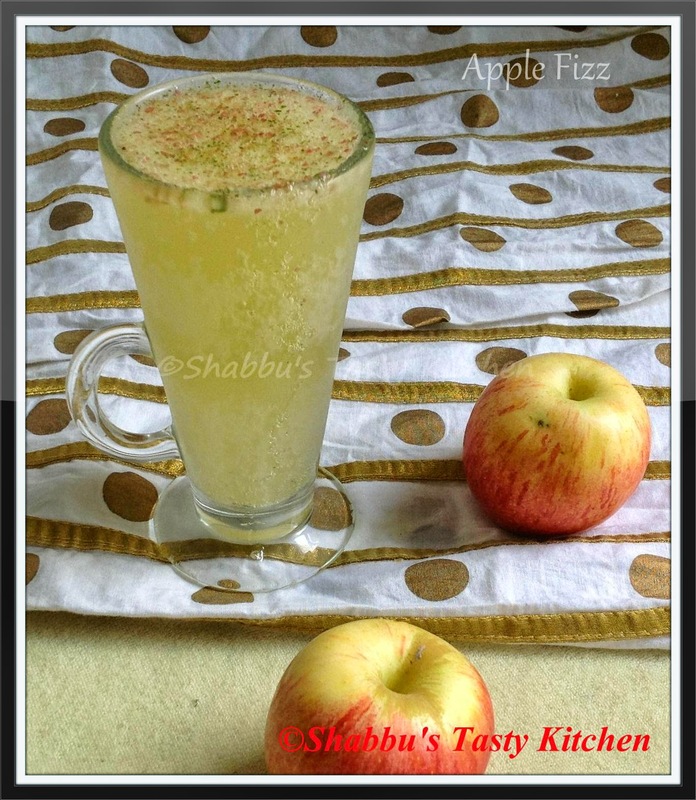 Transfer half of this prepared juice in two serving glasses and pour chilled soda on top of this....Serve immediately..
homemade apple fizz looks super ! Apple fizz looks very inviting!